Katara is a cultural village in Doha, Qatar. It is located on the eastern coast between West Bay and the Pearl.It was soft-opened in October 2010 during the Doha Tribeca Film Festival (DTFF), an event that it has hosted ever since. Catara" was the historical name used for Qatar prior to the 18th century. Geographer Claudius Ptolemaeus referred to the Qatar Peninsula under the name 'Catara' in 150 AD and in the middle of the second century AD, in the Historical Atlas of Islam. 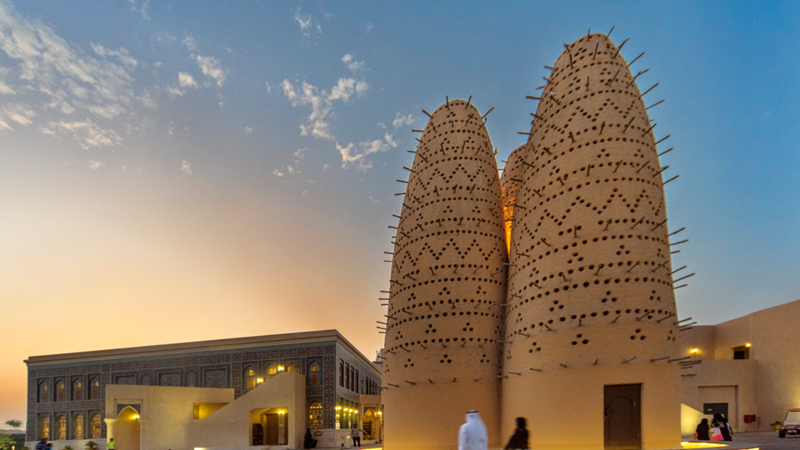 Many Qatari organisations have their offices in Katara. These include the Qatari Society for Engineers, Qatar Fine Arts Society, Visual Art Centre, Qatar Photographic Society, Childhood Cultural Centre, Theatre Society and Qatar Music Academy. The QMA manages the QMA Gallery, a public art venue in the village. The buildings and facilities at Katara were deliberately arranged in order to reflect the country's cultural and architectural heritage.